** FINANCE AVAILABLE **This is a gorgeous example of a Skoda Octavia Style in the estate version with the 2.0tdi 150hp engine. 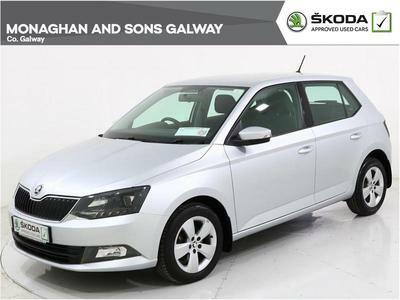 This would make an ideal car for someone interested in outdoor pursuits or for dog lovers!This is a demonstrator model from 181 which has a few nice extras such as Heated Front Seats & upgraded Alloys in addition to the standard Style spec.Call Monaghans on 091-751919 for more information on this car or to arrange a test drive today. Trade in price €28995.